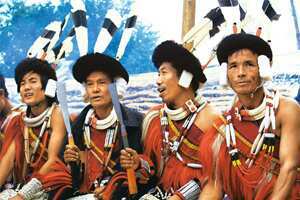 For over 60 years, in few areas has the idea of India been more strongly challenged as in the tiny state of Nagaland. It was here that the first shots for an independent breakaway nation were fired within a decade of India securing independence from Britain. The sense of social and political isolation is extensive, while mistrust of distant New Delhi runs deep amid the Nagas, who number about 1.5 million in the state. While little is written or reported about the Naga struggle for independence these days, it remains one of the longest running struggles for secession anywhere in Asia. This has run the course of popular support with a “peoples’ mandate", diminished by internecine conflict and several ceasefires, including one that has been going on since 1996. The complexity of the Naga situation—16 tribes in the state of Nagaland alone and another dozen or more in the neighbouring state of Manipur—has meant that despite two decades of negotiations between teams from the Indian government and the principal Naga organization, the National Socialist Council of Nagaland (NSCN), the two sides remain locked in discussions, which are signals both of hope and despair. There is hope, since both sides have abjured a military solution and called for a political dialogue relating to a resolution of issues—a wise decision that finally dawned on both sides after 40 years of fighting. Most of the armed fighters from two factions of NSCN, which is fighting for separation, are located in designated camps; officially, they are not supposed to move about freely with weapons or extort from civilians. These are touchy issues whose observance is also in the breach. But the fact is that despite confrontations between the two principal armed factions, a generation of Nagas has grown up knowing something of a fragile peace that eluded earlier generations. The drawback lies in the constant violence that the factions hurl at each other as well as the continuance of sweeping anti-people legislation such as the Armed Forces Special Powers Act, which continues despite the recommendation of three government-organized committees to scrap it. Then there’s the reality that the issue, from being a bilateral problem between the 1950s and the 1970s, is today an internal problem of India, no matter how strenuously the Nagas may deny it. Since 1996, negotiators representing the prime minister have held over 60 rounds of talks with the principal Naga leaders in an exotic range of venues including New Delhi, Kuala Lumpur in Malaysia, Chiang Mai in Thailand, Amsterdam and Paris. Although the differences have been narrowed down, several sticking points await resolution. The question still remains: How can the demands and concerns of small nationalities such as the Nagas, Assamese, Mizos and Manipuris be met in India’s democratic framework, with its huge flaws, particularly the failure in delivery of basic services? The answer may not lie in just giving a few more sops or resuming military operations, but in what Myanmar tried to develop over 45 years ago—something an army coup destroyed. In 1962, U Nu, then-Burma’s prime minister, convened a national convention attended by several political parties, ethnic leaders, and government representatives, especially from the powerful ethnic nationalities. He submitted a plan to develop a constitutional way forward to assure equal power to two houses of parliament, to send equal numbers of representatives to a “house of nationalities" and to give limited power to the Union government, whereas residual power remained in the states. There are clearly opportunities here that can be explored. The Naga negotiations drag on interminably without much progress on either side. Sovereignty is out of the question. What is required is the consideration of an innovative approach that could build on the existing social capital of the Nagas, with governance models that have won regional and international appreciation. These have included the village development boards of the 1970s, where funds went directly to village authorities who decided their own priorities instead of being ordered about by state politicians, as well as the more recent communitization programme, where education—including running and expansion of schools as well as energy in rural areas—was handed over to local authorities. This was a contrast to the centralized functioning of other state governments. Looking forward, a new “house of nationalities" drawn from ethnic groups could be created in Parliament, going beyond the current policy of reservation of seats for backward caste and tribe groups. This could start with an experiment at the regional level through the existing regional planning board known as the North Eastern Council. Thus, on the one hand, India’s borders would remain intact and sovereign, and New Delhi’s security anxieties would be addressed. On the other, a long quest for justice and dignity by the Nagas and other significant ethnic groups could also be met, if not fully, then at least substantially.